Ah, good old Steve Wozniak. One of the original co-founders of Apple, he loves to run around and be quoted not just on Apple matters, but Android as well. We know that he hated his HTC Thunderbolt and has surprisingly anti-patent war views on the fight going on between everyone in the mobile industry. None of his earlier statements compare to his latest, captured in a BBC interview, that say the relationship between Apple and Google would be a lot more friendly if he were CEO. 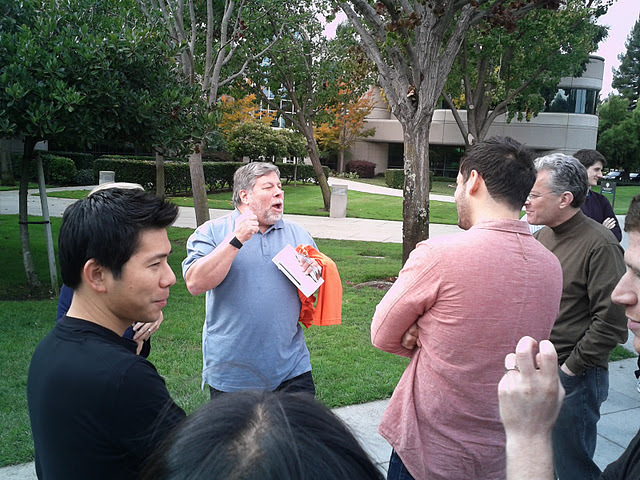 “I wish to God that Apple and Google were partners in the future,” Woz said. The rest of his comments stemmed from that, when pressed about if that could actually happen he said, “I don’t know. If I were there, it would be pretty likely.” He goes on to mention that there might be business concerns with being so open with Google, but he would want to make it happen. It seems that if Steve Wozniak had taken over Apple after Steve Jobs’ passing, things could be quite different for us, not just in Android, but the whole mobile industry. Instead we have Tim Cook and an Apple that is taking part in this “Rockstar” group filing suit against Google and Android. In your opinion, would Google and Apple working together be a good or bad thing?